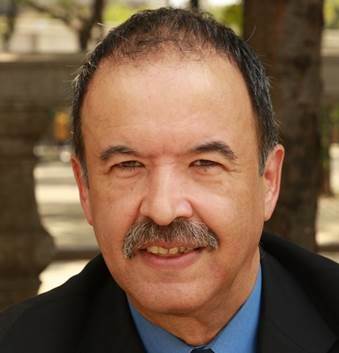 I was deeply saddened to learn of the recent death of El Puente Founder Luis Garden Acosta. He was a giant of our time. I connected with Garden Acosta in 1994 when I interviewed him for my book, The Activist’s Handbook. He was the hero of my story about a David and Goliath struggle to prevent a toxic incinerator from being built in Brooklyn’s Williamsburg neighborhood. What Garden Acosta, NYPIRG, the Puerto Rican community and the Satmar Hasidim accomplished in that struggle was a social justice miracle. But because the New York Times editorially opposed the grassroots campaign and was furious that it prevailed, Garden Acosta’s victory never got the local or national attention it deserved. It’s chief attention came from my book, whose original edition was released in 1996 (the new and revised edition released in 2015 maintains the chapter on Garden Acosta’s campaign). I used the unlikely alliance between longstanding neighborhood rivals as a case study for the chapter in my book, Coalition Activism: Rounding Up the Unusual Suspects. Garden Acosta was a visionary leader and organizer. Most importantly, he knew understood how to build power. Central to his understanding was recognizing the importance of building relationships with even longtime adversaries. The Puerto Rican community justifiably viewed the Hasidim as getting more than their fair share of community resources. Garden Acosta could have led that become a barrier to uniting the two communities; instead, he led the way in putting such feelings aside for the greater good of stopping a toxic incinerator planned for the nearby Brooklyn Navy Yard. If the campaign to defeat the incinerator were not true, it could be too improbable for fiction. But thanks to the savvy of Garden Acosta and others, the struggle resulted in victory. Rudy Giuliani likely owes his political career to the Brooklyn Navy Yard struggle, as incumbent Mayor David Dinkins unwisely backed the toxic incinerator against the community. The Hasidim had backed Dinkins in his 1989 race against Giuliani, but felt betrayed by Dinkins when the two met again in 1993. Giuliani went on to win a narrow victory in the rematch. He was an organizer, role model, mentor, mobilizer and community leader. None of the positive developments at the Brooklyn Navy Yard would have happened without his effort to stop the incinerator; he truly changed the course of that neighborhood’s history. Luis Garden Acosta left a rich legacy and will be greatly missed. Randy Shaw is Director of the Tenderloin Housing Clinic. He also writes about a social justice campaign in Brooklyn in his new book, Generation Priced Out: Who Gets to Live in the New Urban America.